Enjoy the best inspirational, motivational, positive, funny and famous quotes by Andre Sainte-Lague. Use words and picture quotations to push forward and inspire you keep going in life! 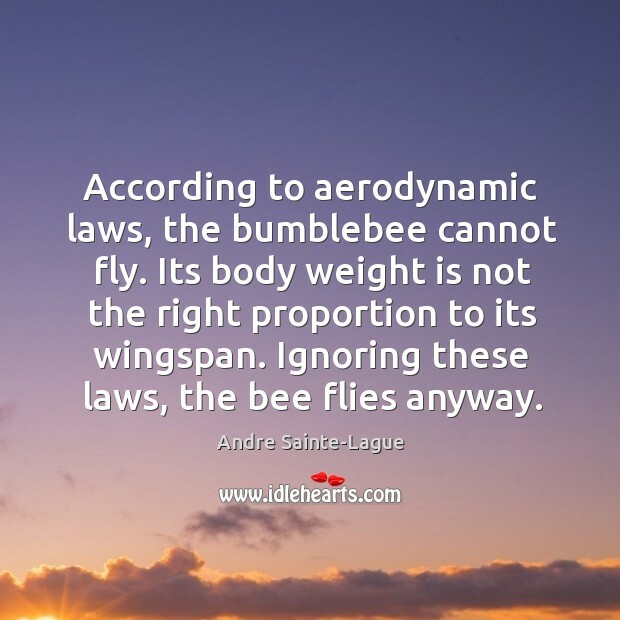 According to aerodynamic laws, the bumblebee cannot fly. Its body weight is not the right proportion to its wingspan. Ignoring these laws, the bee flies anyway.